Evident is a team of individuals who excel at providing useful, interactive analytical reporting tools tailored to clients’ needs. 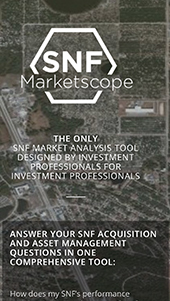 Their SNF marketscope product serves the Skilled Nursing market with the only tool designed by investment professionals for investment professionals. As an existing client of jscTEK, the team at Evident was seeking to increase brand awareness of their newly launched SNF marketscope product. 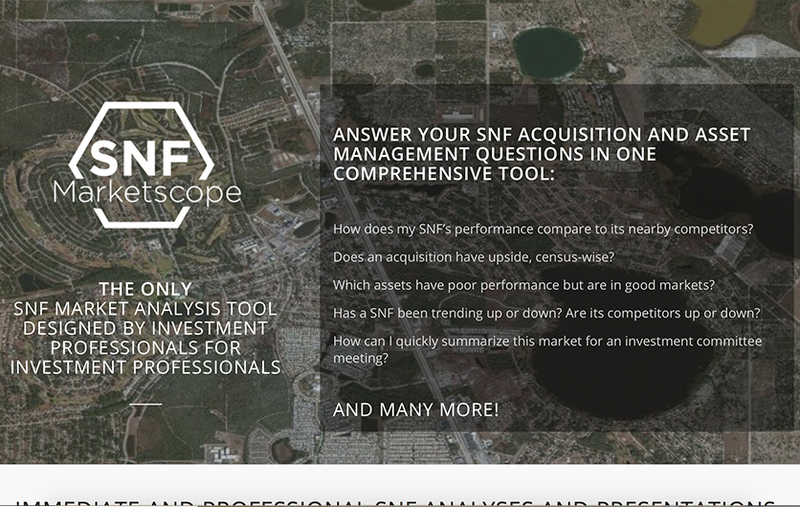 SNF Marketscope’s web presence needed to leverage their expertise in asset management for the skilled nursing market. The website creatively displays how the tool answers skilled nursing facility acquisitions and asset management questions in one approach.